Finally, the FIFA World Cup is nearly upon us, which means that it’s time to tune in and see the biggest soccer tournament in the world from Russia. However, before Russia kicks off against Saudi Arabia, fans should tune in to watch the World Cup Opening Ceremony. Russia is no stranger to these international events — they did just host the Winter Olympics in Sochi in 2014 — but it likely won’t be quite the spectacle that was. 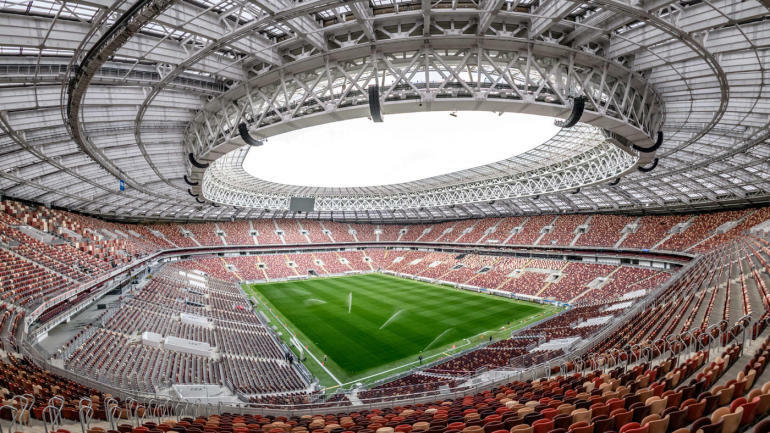 Here’s how you can watch Russia’s Opening Ceremony for the 2018 World Cup. Thee ceremony will reportedly be relatively “modest,” according to Collins Okinyo, but how can it be when Diplo, Will Smith and Zabivaka the wolf are in attendance? Smith will be performing the World Cup’s anthem alongside Kosovan singer Era Istrefi and Nicky Jam. The song, called “Live It Up,” can be found here. Other celebs in the ceremony: Robbie Williams and Russian soprano Aida Garifullina. There will be a lot to look for, as the buildup begins to the biggest sporting event in the world. Once the Opening Ceremony concludes, Russia and Saudi Arabia will kick off the tournament for real.